This is a one man company. I've been in business for 24 years and in the stair trade for almost 28 years. Besides this level of experience, I bring a very honest, reliable, and communicative approach to contracting. You will always be talking to the guy who is going to do the work! Usually, I come to your house or project to do an estimate, but you can email me with details and/or photos, and I can give you a rough idea of prices and options that way. Email is probably preferred, since I am often working or driving, but feel free to call during normal business hours and leave a message. I do work weekends if necessary. If you prefer to TEXT me photos, call or email so I can give you my cell number. Click on the "PHOTOS" link to see pictures of various projects I have designed and installed over the years. 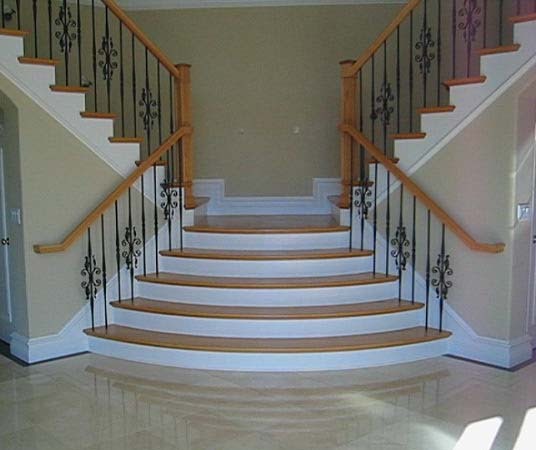 Contractor specializing in design and installation of hardwood stairs and handrailings.